Most men experience at least some degree of hair loss in their lifetime, with the numbers increasing continuously with age. By their late 20’s, approximately 12% of men experience some hair loss. By the time a man is in his 50s, he has a greater than 50% chance of displaying some genetic baldness. The most common type of baldness is called Male Pattern Baldness or more scientifically, Androgenetic Alopecia. 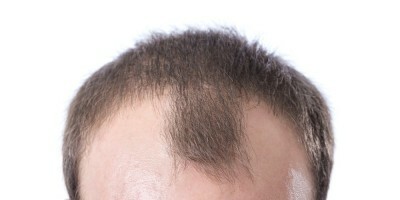 This type of hair loss usually starts with a receding hairline with the hair at the temple. This hair gradually recedes to form an “M” pattern. Then, the hair on the crown of your head begins to thin and eventually this bald spot will meet with the top points of the “M” pattern of receding hair line. Over time, the only remaining hair is the horse-shoe pattern around the sides of the head. No matter what stage of thinning or baldness you may be experiencing Pro-Hairlines can help find the right solution for you.